Cologne - The 2015 Bundesliga Legends Tour is currently in full swing and as one of the league's roving ambassadors Jens Lehmann has headed west to the Americas. Following a stop in New York, the former Borussia Dortmund, FC Schalke 04 and VfB Stuttgart goalkeeper headed south to Mexico City. His second day in the sprawling metropolis was an eventful affair, dominated by the opening fixture of the 2015/16 campaign between FC Bayern München and Hamburger SV. Lehmann was heavily involved in Fox Sports' coverage of the game, including their pre-match build-up, as well as analysis at half-time and at the final whistle. It's not often a living Bundesliga legend roams the streets of Latin America, so the television presenters were understandably eager to record the occasion with a quick snap. 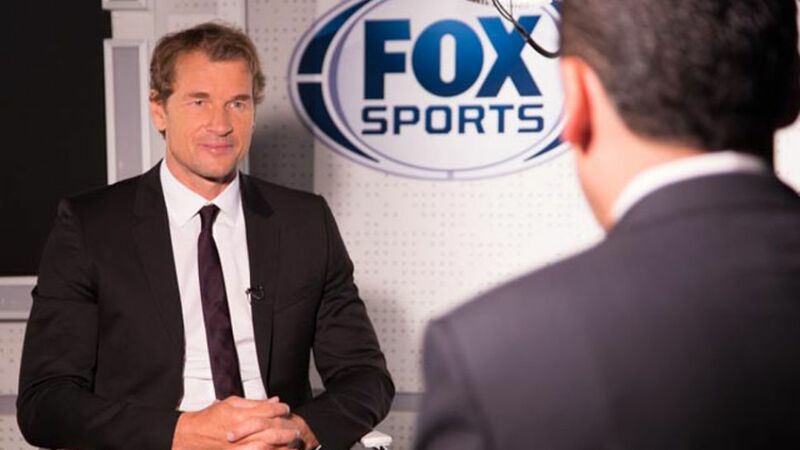 Lehmann was also co-commentator for Fox Sports during the match, which Bayern won 5-0. If the 45-year-old was previously unfamiliar with Mexican football commentary, he surely won't forget it in a hurry after witnessing the excitement and emotion that is put into it! Covering the Bayern match was Lehmann's last act in Mexico, as he subsequently headed to the airport to catch an overnight flight to Rio de Janiero, Brazil. Stay tuned in the coming days for more!